Europe has many wonderful places to visit, and the UK has to be at the top of the list. A trip to England, Scotland, Ireland and Wales can be the vacation of a lifetime. If you want to visit the UK, then you should consider backpacking as an alternative to the pricey packaged tours. Backpacking has a number of advantages over other means of travel, including freedom, cost and convenience. Backpacking gives you so much more freedom than a package tour. You choose where to go, when and how to get there. If you want to spend a couple of extra days in London, then you can do so without worrying about what the tour itinerary says. Likewise, you can skip the big cities and stick to the countryside if you so desire. 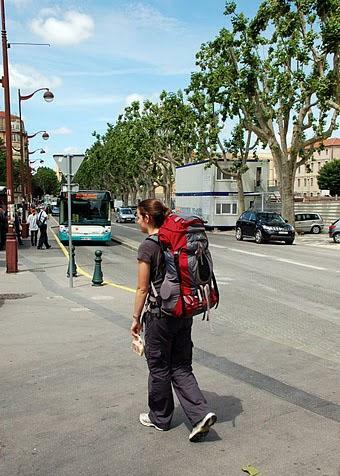 It is much cheaper to backpack than to take a planned tour. You don’t have to stay in fancy hotels, you don’t have to eat at restaurants selected by the tour company and you don’t have to cover the company’s operating expenses. You can go where you want, when you want to go and you don’t have to have a car to do so. Trains, buses and even ferries go everywhere in the UK. They are cheap and convenient, and you don’t have to wait for a tour guide to decide it’s time to leave. Most of the cities have their own efficient public transportation systems as well, so you can get from one attraction to another without delay. The UK is a very safe place. Even the largest cities are safer than comparable American cities, even for single female travellers. Hostels are much cheaper than hotels, and while they don’t offer much in the way of frills, they offer a place to sleep for a really good price. Many have private rooms available. Most also have kitchens, so you can cook and further lower the cost of your trip. You will meet many more local people on a backpacking trip than you would on a package tour. You will get to experience the real UK and not the glitzy tourist side. You can eat where local people eat and shop where they shop. Backpackers tend to make more friends than people on packaged tours. You can meet dozens of people from all over the world. The dominant language in the UK is English, so it is easy to get information and to talk to people. You will see more of the UK on a backpacking trip than on any planned tour –remember this is your trip, after all, and you can go from one end of the British Isles to the other if you so choose! Backpacking can be a fun and exciting way to visit the UK. It is cheap, convenient and offers more freedom and flexibility than any other option. Isaac the author of the “10 reasons you should backpack around the UK” works on behalf of the Cottage Boutique, a unique accommodations provider in St Ives Cornwall. If your looking for a beach cottage in St Ives or boutique cottages in St Ives then look to them for high end luxury accommodation.